I’ve devoted the next six months of my time to creating several still plans for you guys. These plans will include a detailed parts list complete with component drawings dimensions full assembly instructions and CAD drawings. I’ll also be creating how to build video’s to help with you DIY build. Drop me a line in the comments if your interested in receiving a still plan package when they are completed. I’m planning on selling the E-books for around $15 to help pay for my time in creating but am offering it to you guys for free for anyone willing to offer me feedback on the plans once you’ve completed the build. This feedback will be used to help improve the plans and content. If your interested drop me a line in the comments. Below are a few plans I’m working on. I’ve completed CAD files and the E-book for these and am now working on the video production. 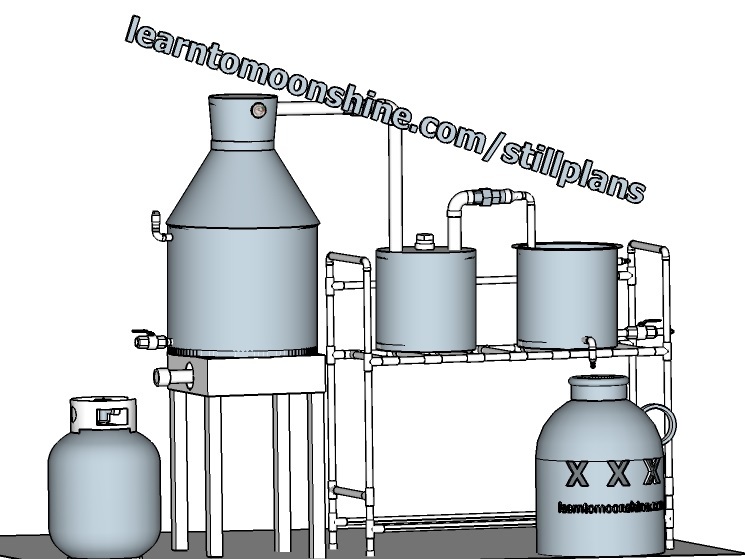 I’ve also created a number of free moonshine still plans that you can check out as well if you can’t wait for these to be completed. This still plan was created to fit on a 36 ” by 48 ” sheet of copper keeping the cost low for you guys. Here’s a screen shot of my CAD design I’ll be posting pdf template and e-book soon. Also working on a Reflux head for this design so you can have more options when distilling. I’ll be releasing a 5,15,30 and 50 Gallon version of this plan. 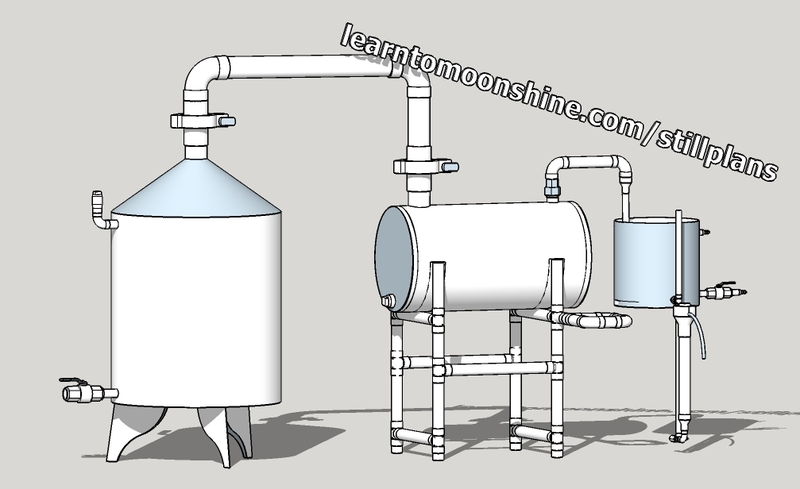 A similar design to the one above this pot still uses tri clamps for quicker assembly and disassembly. It’s heated by an electric element and has a parrot incorporated into the design for easy monitoring of real time % abv with an hydrometer. I will be designing a Reflux still head for this as well. I’ll also be working on designs using pressure cookers and beer kegs as these are popular boilers that can easily be sourced locally. Stay tuned for more info. If you want updates on when I post plans make sure you join our Facebook page and our Facebook Group.